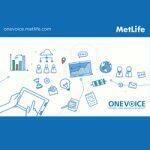 Metlife | Communication EFFECT S.A.
MetLife operates in Greece since 1964, having more than 145 years of experience. It is considered the No1 choice in the sector of Group Insurance. Through a wide range of flexible individual and group insurance plans, the company effectively covers the sectors of Life, Personal Accident, Health and Retirement by offering integrated insurance solutions to hundreds of thousands of people in every corner of Greece. Our collaboration with ΜetLife Greece, started in February 2016. The scope of our cooperation includes services for Public Relations, management of Press Office and Marketing Communications. Furthermore our team is responsible for the internal and external Newsletter of MetLife Greece.